CAMO is everywhere this season from footwear to hats and everywhere in-between! It really can be a neutral that easily mixes with all the other pieces in your closet, and a super fun addition to the mix. BUT, if you are a little bit unsure about jumping in with camo this is the look for you!! Layer that camo button up under a sweater or turtleneck you just have a accent of camo peaking out. Pick a more tonal camo print with subdued colors so the print is not overwhelming to the overall outfit. I love how the sleeves look rolled up over the sweater! It's all about the little details. 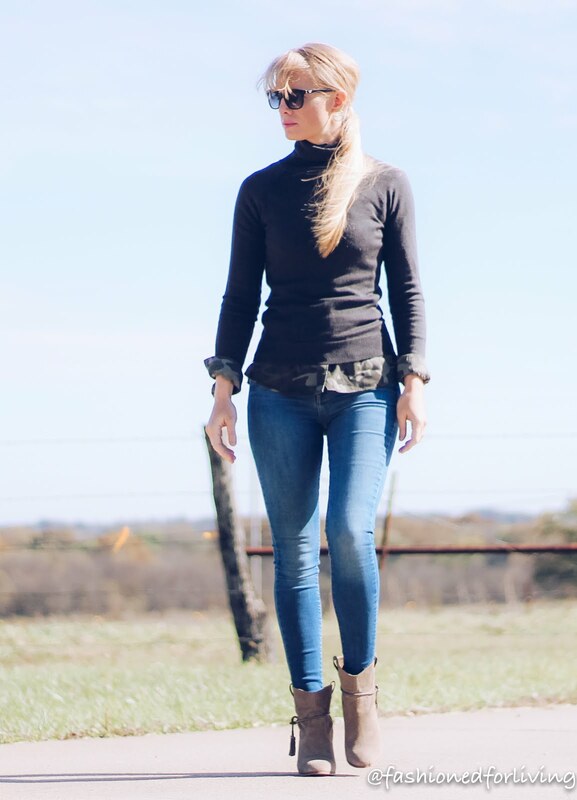 Mid boots work perfectly for covering those ankles when the weather gets colder. I own THIS pair in two color of the four colors available! Love them! 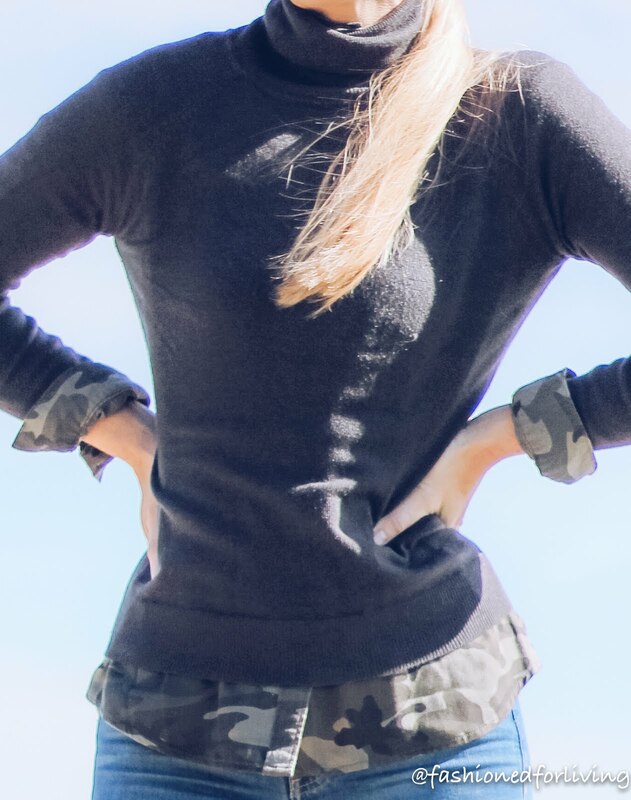 For more camo outfit inspiration please check out my VIDEO for four more outfit ideas. Are you rocking camo this season? If so, how are your adding into your wardrobe?